“It’s definitely a fun place to be. There’s always a lot going on in this place whether it’s professional teams or politically. There’s always something you can pay attention to in the news. It’s kind of the center of a lot of things so you always feel like you’re in an important place,” Nationals pitcher Craig Stammen said. 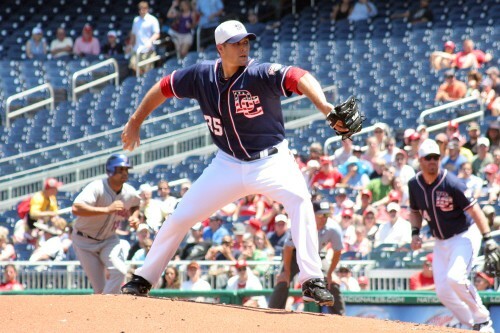 Like most of the players on the team, Stammen isn’t from the District. The 26-year-old right-hander is from Coldwater, Ohio and thinks D.C. isn’t too different when compared to his midwestern home. “People are a little bit faster paced over here but other than that, the people [generally] have the same type of personalities,” Stammen said. One of Stammen’s favorite parts about living in the District is its proximity to its two neighboring states. “It’s all kind of one thing,” he said. Stammen’s only complaint of living in the city so far is District traffic and how people drive, which is one thing left-handed pitcher John Lannan’s used to. The 25-year-old Lannan hails from Long Beach, New York and is used to city living. The District has a special place in Lannan’s heart since his professional career at the Major League level started here. 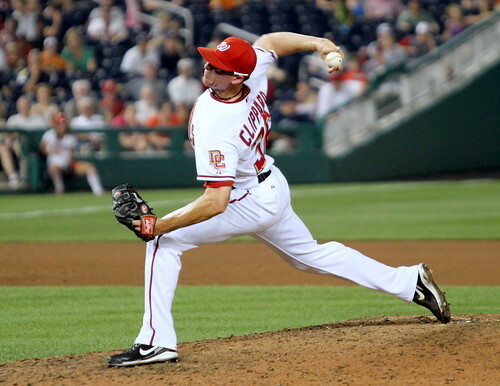 Lannan’s first career win was in 2007 at RFK Stadium during the Nationals’ final season before moving to Nationals Park. The city-style fast-paced life is something that appeals to Lannan and living in D.C. helps scratch that itch. Beyond baseball, there’s plenty for Lannan to do while squiring his girlfriend around town. “We go to brunch at certain places. I like Georgetown. I love Adams Morgan, [it] has some cool restaurants. And Dupont Circle, I think it’s got a lot of variety and a lot of character,” he said. Clippard takes the tourist approach to exploring the District when he’s not on the field. Trips to the the mall, the Jefferson Memorial, the Lincoln Memorial, and Smithsonian museums are some of Clippard’s favorite perks of living in the nation’s capital. Community involvement is also something Clippard takes seriously. He sees philanthropy as his civic call-to-duty not only as a ball player but as a person. Giving back to the community is a point of pride for Clippard, but giving back to Nationals fans ranks just as high if not higher. Clippard loves the fans here. In fact, he thinks they’re awesome. All he wants to do for the fans is win even if that’s not reflected in the Nationals’ current spot in the standings. 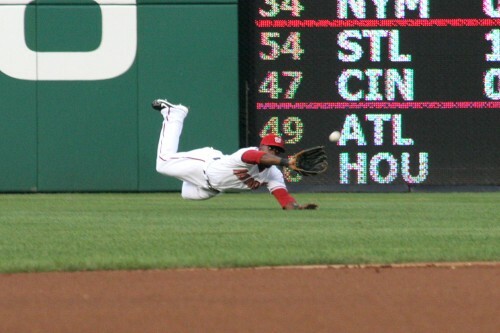 Outfielder Roger Bernadina agrees with Clippard about Nationals fans. When asked to describe playing in the District, Bernadina struggled to find the words. “How can you describe it? How can you describe it,” he asked himself several times before coming to a conclusion. 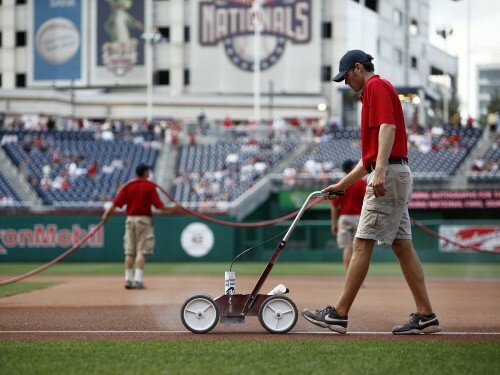 Nationals Park is their office and their sole responsibility is to keep playing baseball. It’s their job and they love it, but they also realize how lucky they are to be playing the game they love in such a unique city.